Hello. I am just getting back into a routine after a long 6 day break from school. We had a snow day, followed by a Friday, Monday US holiday and tuesday Sup Conference Day … just teachers go in, not students. And … it pretty much snowed … every. single. day. I know the true definition of “going stir crazy”. 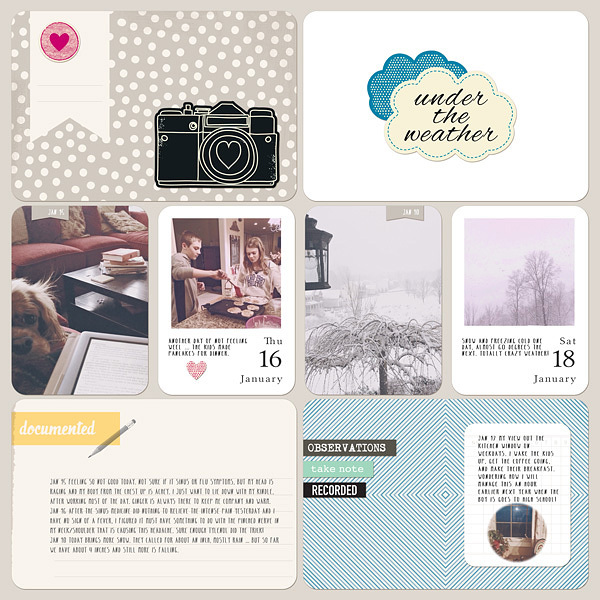 Today I want to share some more Digital Project Life pages from Weeks 3 & 4 for 2014. 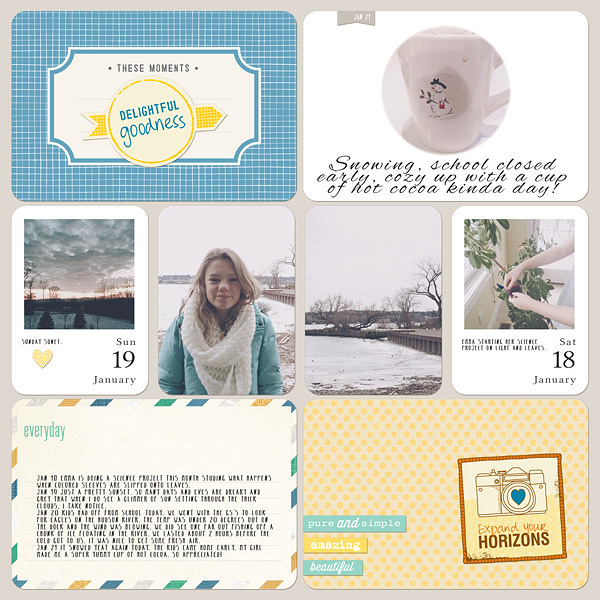 I am still using my Collect App to organize and keep track of all my daily photos. 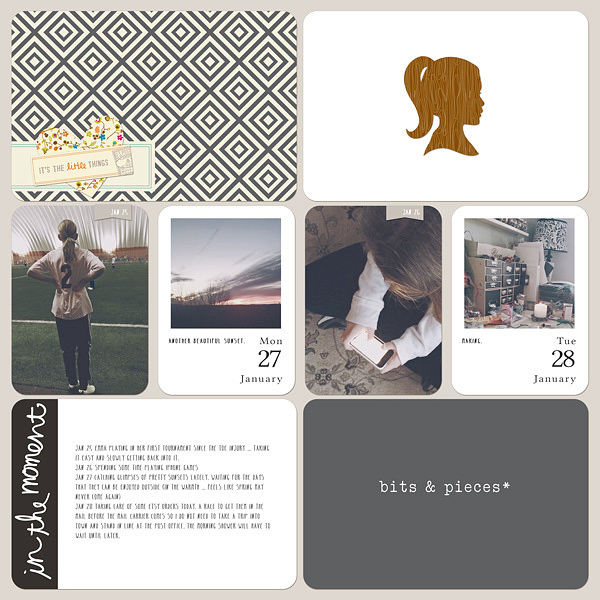 I still use my PicTapGo App and apply my custom recipe to my photos … so they all have the same look throughout my pages (and my entire book for the year). 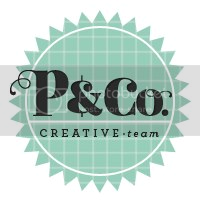 And I am settling in to my 2014 style for my PL pages this year. Basic white, plain background, and very little fuss and extras. 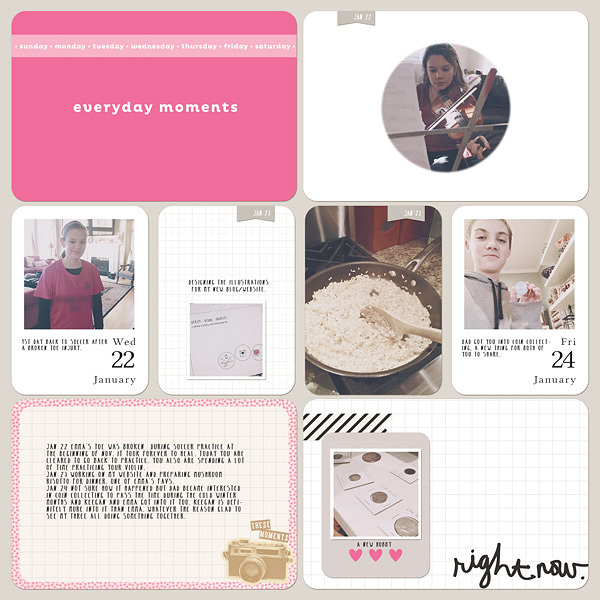 I want the photos and the journaling to tell the story of our everyday moments. I’m also trying to keep this PL 2014 just the little everyday photos taken with my iPhone. So far I’m 100% on track with that. I’m saving my fancy DSLR photos for other pages. 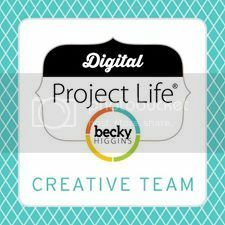 Be sure to check back in March for new Digital Project Life releases!